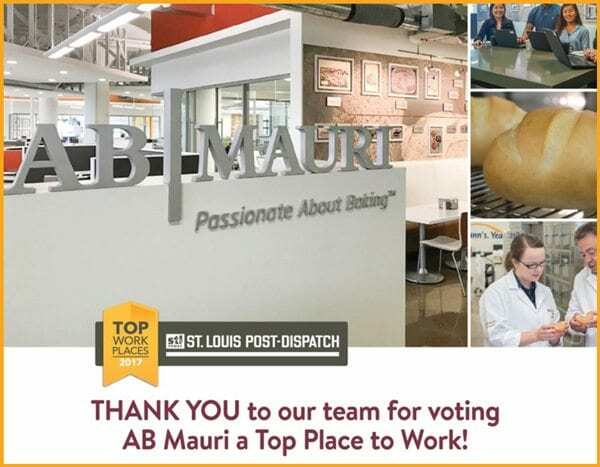 ST. LOUIS (June 26, 2017) – AB Mauri® North America, a leader in yeast and bakery ingredient products and solutions, has been awarded a 2017 Top Workplaces honor by The Post-Dispatch. The Top Workplaces awards are based solely on the results of an employee feedback survey administered by WorkplaceDynamics, LLC, a leading research firm that specializes in organizational health and workplace improvement. A complete list of workplaces recognized by the St. Louis Post-Dispatch can be viewed here.